Making parking and maneuvering not just easier, but above all, safer. On many new vehicle models, drivers have little visibility with regard to their immediate surroundings. Side and rear windows are becoming increasingly small, while the exterior shape of vehicles is dictated by aerodynamics and pedestrian safety, meaning precise, secure maneuvering and parking are almost impossible. 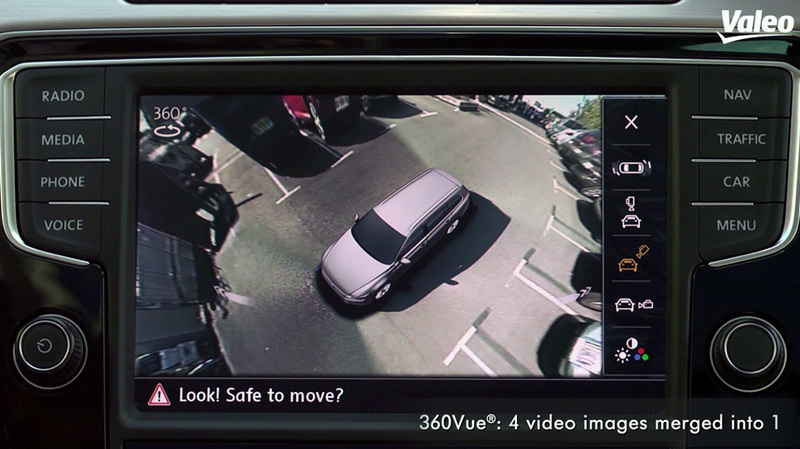 Valeo’s multi-camera system helps the driver by providing a perfect view of the vehicle’s environment. 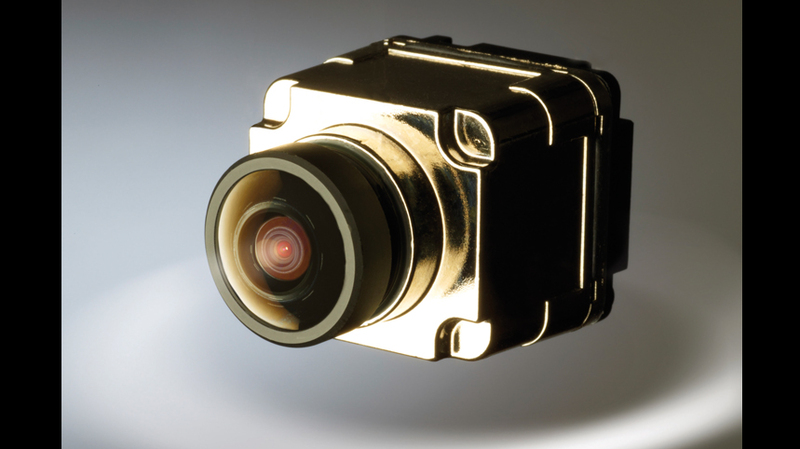 Miniature cameras record the surroundings and transmit the images to an intelligent control unit, which carefully processes them and optimizes them before displaying them on the vehicle’s color screen. The new 360Vue® 3D system gives not only full visibility right around the vehicle in a view from above, but also a 3-dimensional view of the vehicle’s environment. The driver can perform maneuvers or leave a parking space safely, with excellent visibility of all obstacles in the vicinity of the vehicle and the capacity to see into all blind spots. 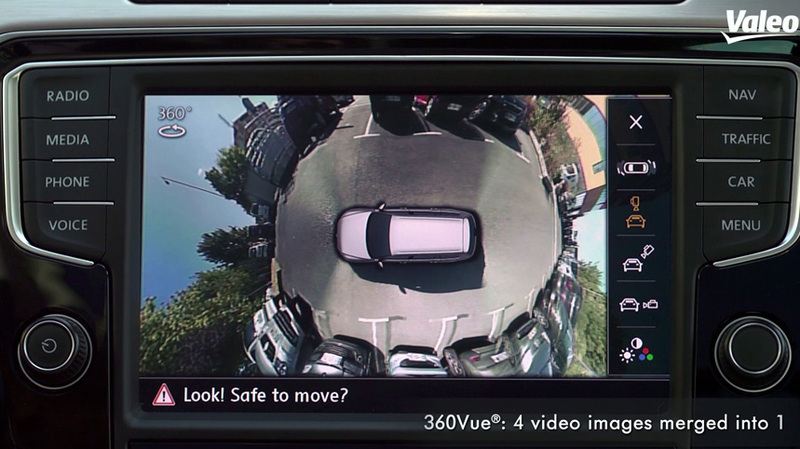 The 360Vue® system offers the driver different views, including an aerial view of the vehicle, providing a complete vision of the immediate environment. 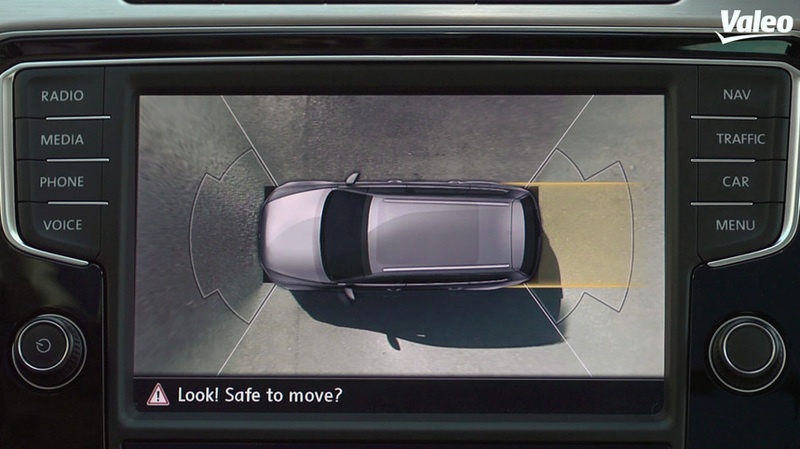 Another remarkable feature is the “cross traffic” perspective which enables the driver to see around corners, which is very useful at a junction without visibility, or when exiting a car park. The system can display a single image or a number of views on the same screen. In a word, the 360Vue® system helps the driver to maneuver the vehicle easily, safely and precisely. Valeo uses the latest imager technology in its cameras, ensuring a good image quality even in poor lighting conditions or in highly contrasted lighting – when entering or exiting an underground car park, for example. 360Vue® Surround View System is an automotive innovation from Valeo’s Comfort and Driving Assistance business group that allows drivers to park and maneuver easily.